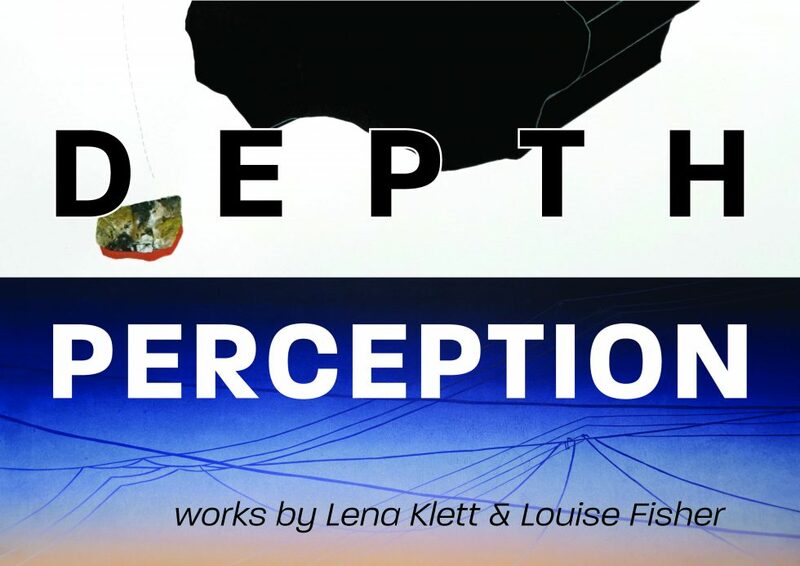 Depth Perception is a meditation on the act of seeing by multidisciplinary artists Lena Klett and Louise Fisher. Both artists share a concern for how our bodies respond to and interact with the natural world. Klett uses abstraction and play to reimagine an object, such as a stone, to bring it out of a readily understood context. Fisher uses time-based media to investigate how the body responds to light and dark cycles in rural and urban landscapes. Together, their works speak to the action of noticing the previously unnoticed, and caring about the uncared for. Depth Perception features works on paper, including drawings, prints and photographs as well as a collaborative installation. Louise Fisher is a Phoenix-based artist and holds an MFA in printmaking at Arizona State University. Louise grew up on a farm in her home state of Iowa, where she obtained her BFA degree with honors from the University of Northern Iowa. Since then, she has shown her work locally and nationally. Fisher’s work is included in private and public collections, including Mid-America Print Council, Zuckerman Museum of Art and the University of North Florida. Her most recent accomplishments include an international residency with the Picker’s Hut in Tasmania and receiving the 2018 SGC International Graduate Fellowship Award. In her work, Louise explores ideas of ephemerality, energetic transformation and life cycles through time-based media as well as the layering and repetitive action of printmaking. Lena Klett is an interdisciplinary artist currently based in Phoenix, Arizona. She graduated from the Kansas City Art Institute in May, 2014 with a dual BFA in Fiber and Art History. Klett has exhibited both solo and collaborative works at the Kansas City Art Institute and Vulpes Bastille Gallery in Missouri, Art Intersection, Halt Gallery, the ASU galleries in Phoenix and Tempe, Arizona, and internationally at Shiro Oni Studio in Onishi, Japan. Her work is included in the private collection of Gregory M Glore, and in the KCAI Fiber Department Collection, both located in Kansas City, Missouri. Recent accomplishments include a Herberger Enrichment Grant and an international 5 week residency in Onishi, Japan in 2018. Klett holds an MFA from Arizona State University with an emphasis in Fiber.